Building converting newsletters is an art, and with mobile newsletter templates, you can add more aplomb to your skill by creating truly catchy newsletters that excite and entice viewers into exhibiting the desirable behaviors such as product purchases, event participation, and social sharing. 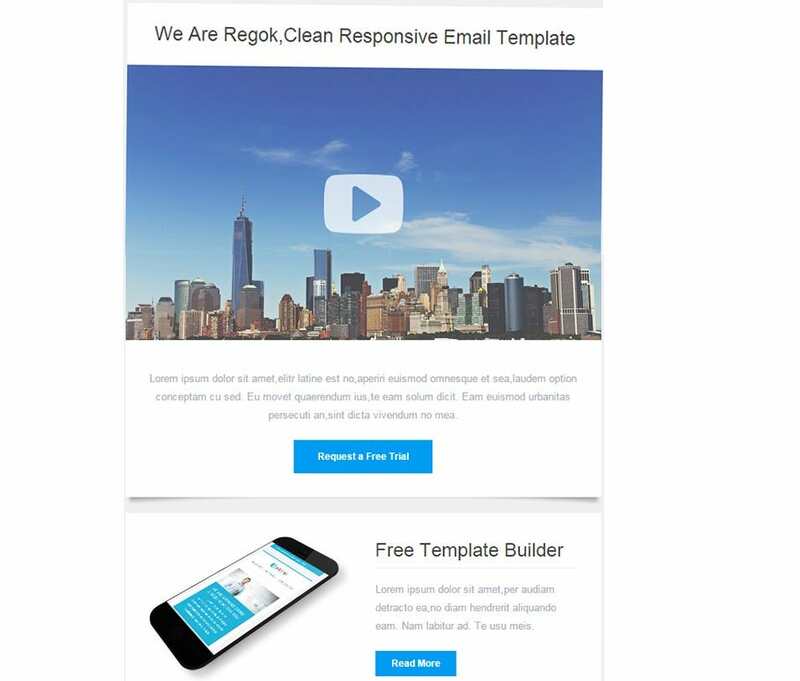 You can also see Best Newsletter Templates. The most gripping design aspects of mobile newsletter templates · Embellished with catchy buttons and icons, these free newsletter templates are perfect for drawing out actions from the recipients, as you can smartly add links to product pages, website landing pages, and other web pages using these buttons. This one is one of the best selling newsletter templates, and for good reason. It comes with a simple and minimalist design that is suitable for a variety of purposes. It works well on a variety of screen sizes, including mobile phones and tablets. It is 100% customizable as per your needs. Event Planner is another newsletter template with hugely tailor-made options. Whether it’s a personal or a commercial event, this template is suitable for creating different types of newsletters for events and functions. The best thing about this template is the range of colors, textures and backgrounds it comes with. Mobilempathy comes with a user-friendly drag and drop module, featuring contemporary design completely suitable for a personal or commercial newsletter. 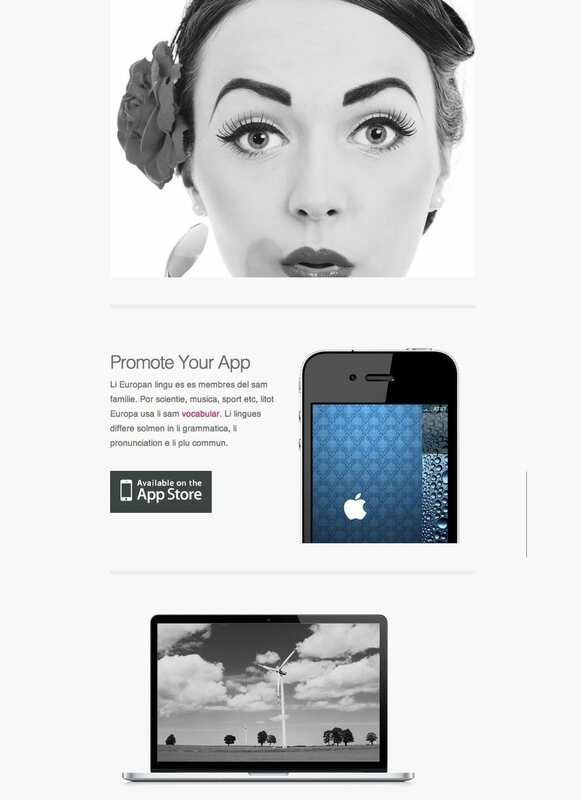 If you are looking for a 100% customizable newsletter template, Mobilempathy would be the perfect choice. The template has been built out in HTML so that it can be easily edited before sending. Car Club contains a lot of tools and features that can be used to make an attractive newsletter for car companies and car lovers. Whether you are the owner of an automobile company or a car enthusiasts’ forum, this Car Club Responsive Newsletter template is the perfect choice for you to make a newsletter. This one is a photography focused newsletter template that has different sections to showcase your skills, services and portfolio. It features unlimited variations and colors to perfectly match your business’ brand identity. Use this 100% customizable template to make a full-fledged newsletter that you can distribute among for your clients, customers and target audience. This template contains a whole lot of tools and features to select from, which you can use to customize your newsletter as per your individual needs and preferences. 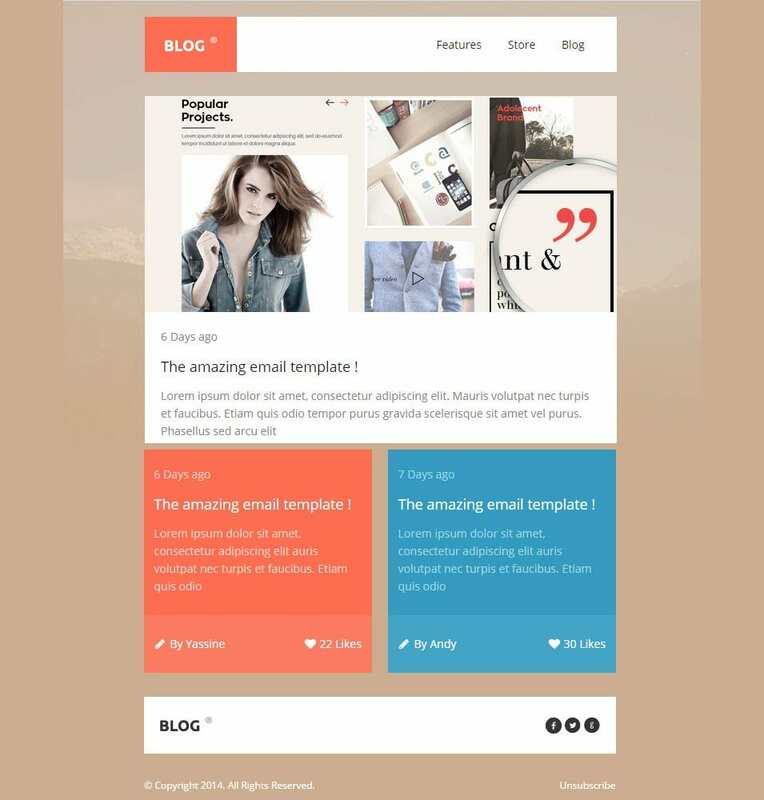 Due to its in-built template builder, it becomes one of the most popular options for those who are looking for a ready-made newsletter template to use. 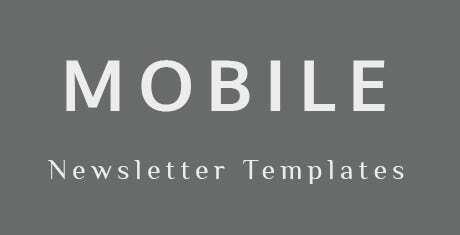 This template contains a number of modules that you can use to create different types of newsletter layouts. It also comes with a large number of color options which you can select using the template’s color picker tool. When ready, you can send it out to your clients and customers, and gain exposure for free. 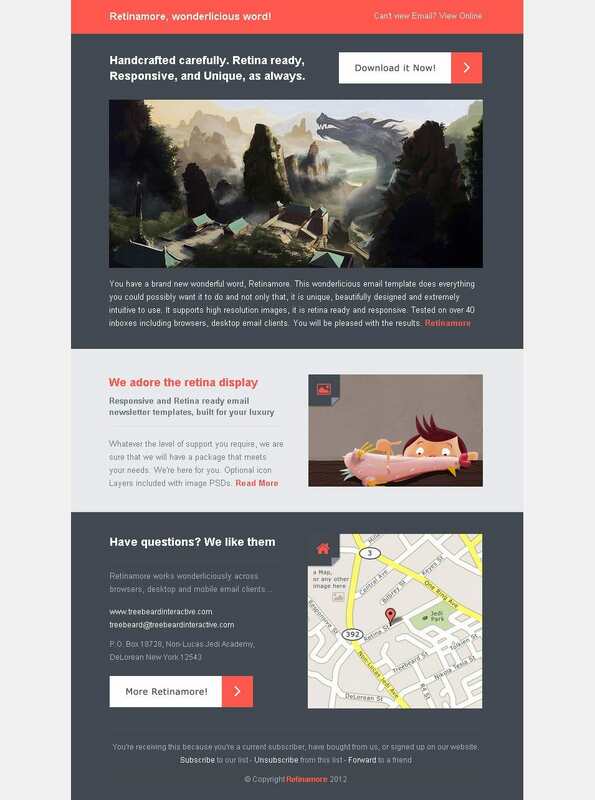 Linus is another template focused on making newsletters for businesses. It has simple to use customizable options that make it a breeze to design the newsletter depending on your personal preferences. The ready-made design means that you can modify the basics like content and colors without messing up with the rest of the design. This one is a clean and modern template containing a user-friendly drag and drop module. Its flat design is made for a very elegant, yet simple newsletter with a lot of white space for those who prefer a minimal design. Its responsive layout makes it accessible from a variety of screen sizes. 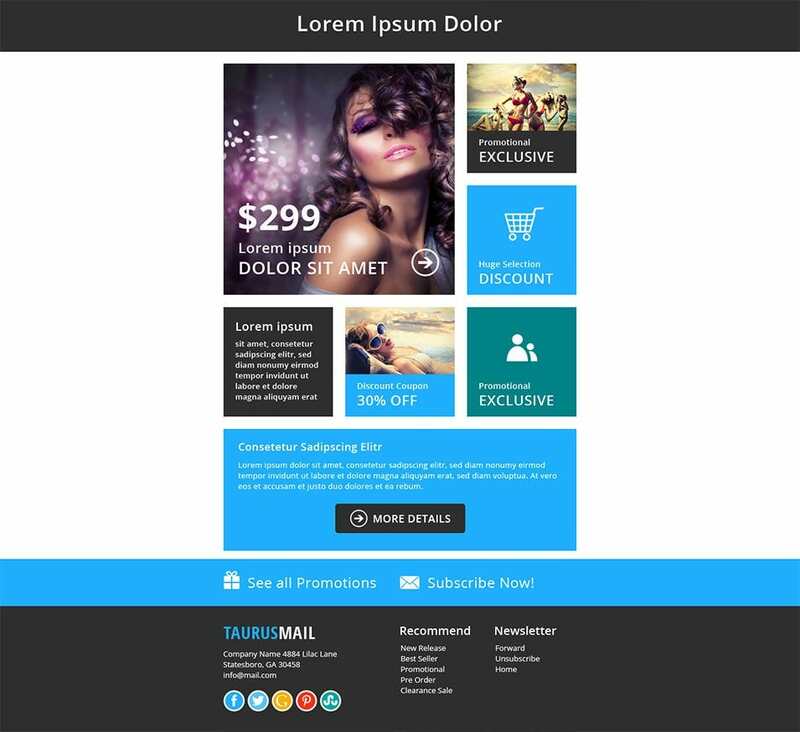 It is a contemporary newsletter template that comes with an in-built template builder for easy and painless editing. Perfect for making newsletters for companies, this template features a unique design coupled with sophistication. It has a user-friendly interface, because of which any person can use it without any technical skills. Sports News features all the tools and features that you need to assemble a customized business newsletter in minutes. Beautifully placed modules make it a perfect choice for making digital newsletters. Thanks to its responsive layout, it can be accessed from a variety of mobile devices, including tablets and smartphones. 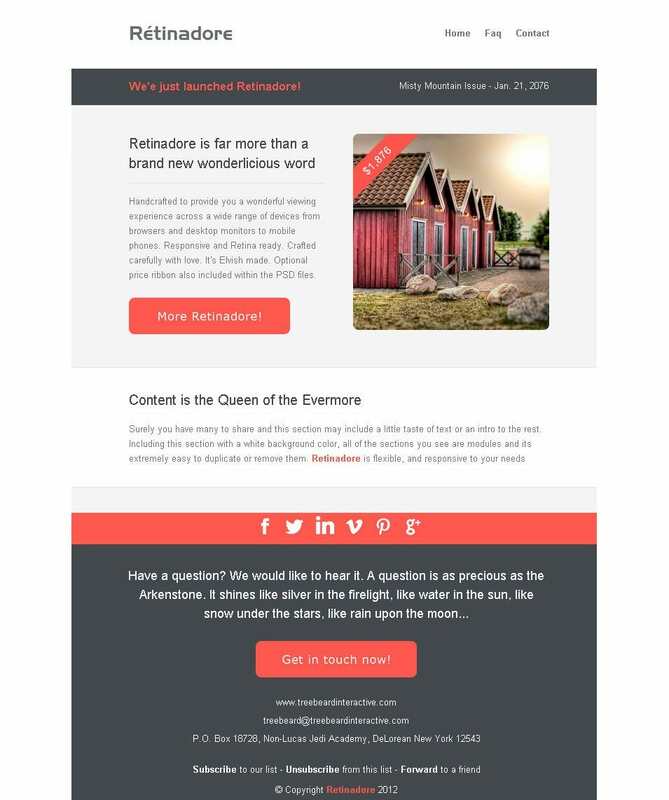 Retinamore is an elegant, yet simple newsletter template that stays focused on displaying your brand, along with its products and services. 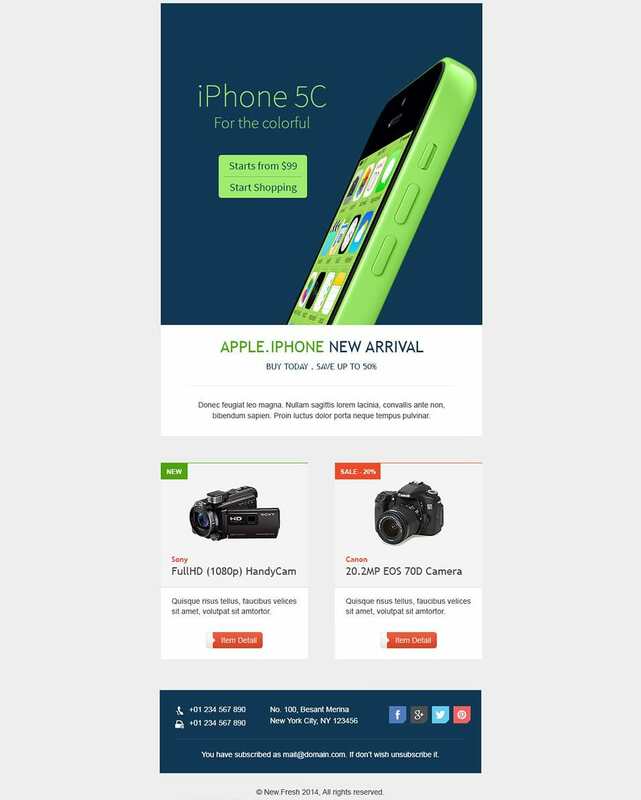 It has a consistent aesthetic which makes sure that your modifications do not break the overall theme of the newsletter. It is responsive in layout, and is 100% customizable. Design Studio provides a modern yet minimal newsletter design that works on a variety of design agencies and businesses in the industry. Its modules feature enough spaces to showcase your skills and works, and highlight your service options. The client section makes your credentials unique and impressive. Metro delivers exactly what it promises. 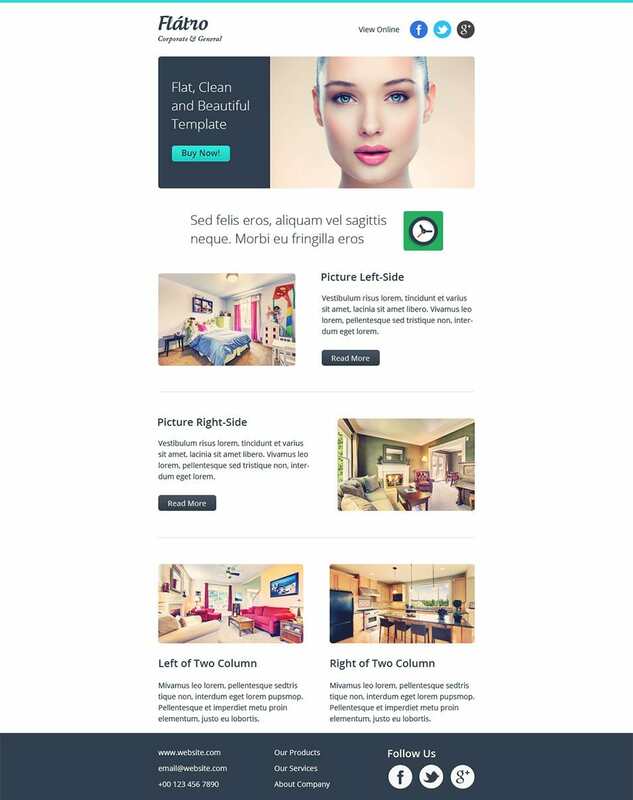 It is a newsletter focused template that joins together highly contrasting aesthetics and color sections with the full-width impressive background. 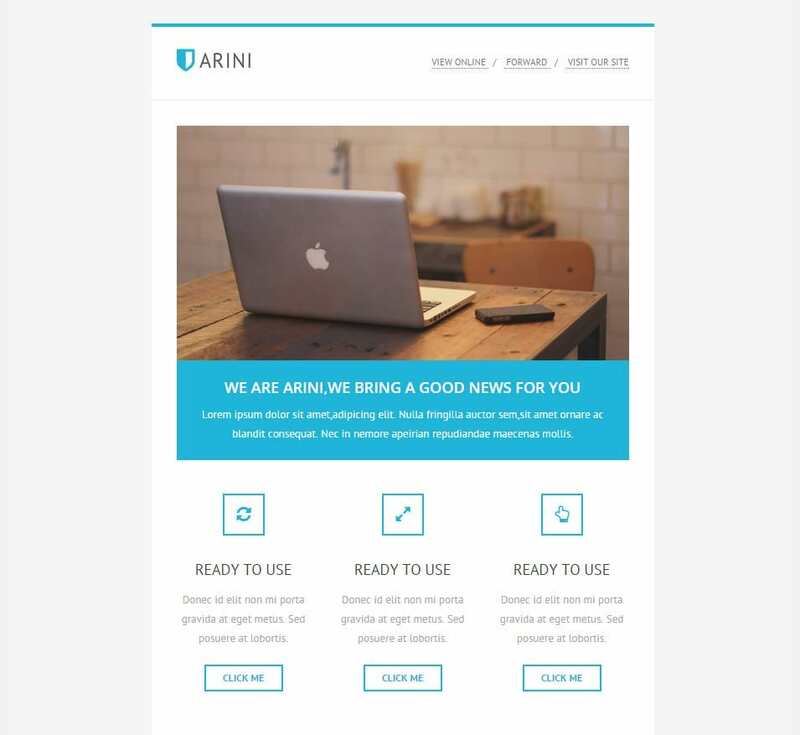 Use this template to give an all new feel and look to your company newsletter. Additional perks are responsive layout and 100% customizability. The minimal design of this template is highlighted by the fact that the users can simply add and remove their modules directly from the in-built template builder. You may also specify images, colors and background directly in the builder. It makes editing and distributing the newsletters a breeze. Multi column and page breaks make it easy for you to plan your content for the newsletters, thus enabling you to deliver more information without weighing down the viewer’s with a sense of information overload. 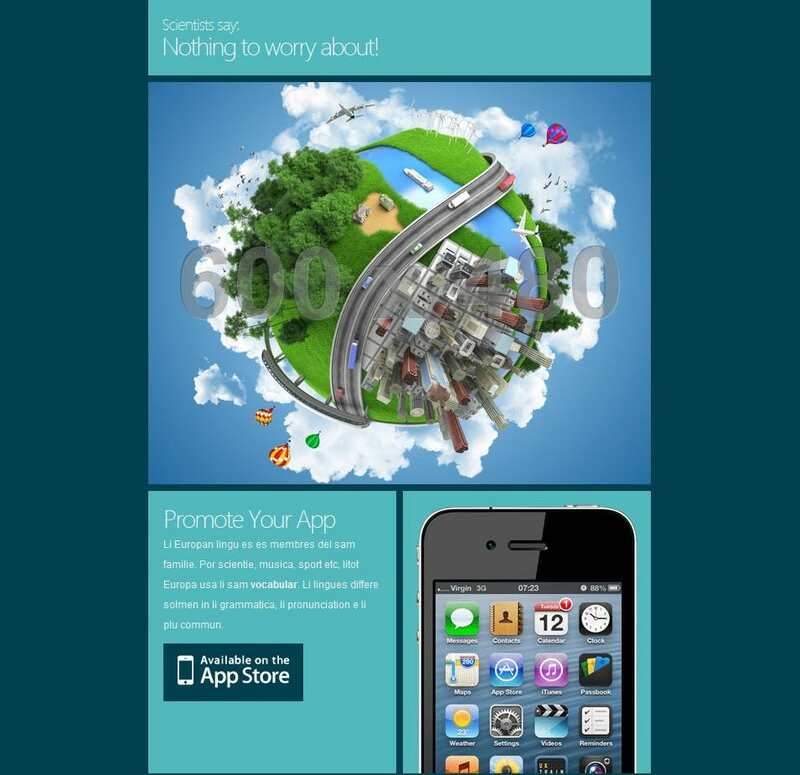 Sophisticated mobile newsletter templates work amazingly well with platforms such as all versions of Android, iOS and Windows, and do not lose their shape when viewed using apps such as the popular Gmail app for all these operating systems, Outlook.com web interface or apps, or any other renowned email client for mobile devices. Your newsletters will continue to be relevant for all those who use their mobile browsers to access Outlook, AOL mail, Gmail, Yahoo mail or any other email service. Creating and distributing a well-designed newsletter plays an important role in keeping your customers informed and enticed. 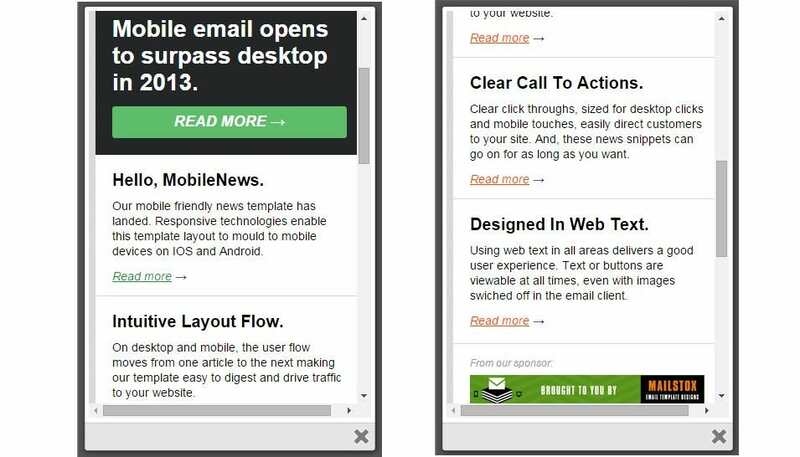 These best mobile newsletter templates have a responsive layout, due to which your customers can access them from a variety of devices. 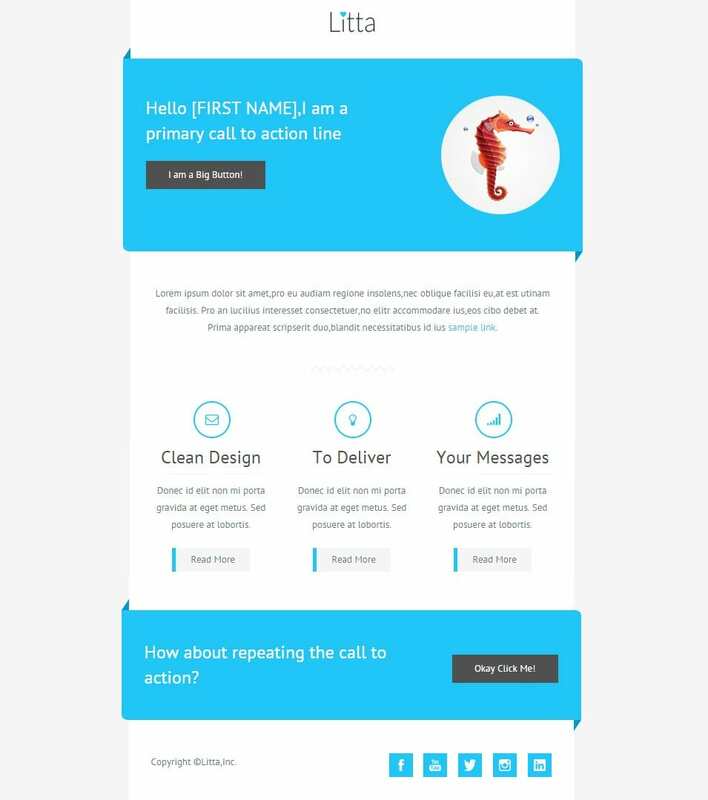 Use their customizability to create a newsletter exactly as per your needs.